The Gunners recently completed the signing of German international goalkeeper Bernd Leno from Bayer Leverkusen, which now means that the futures of first team goalkeepers Petr Cech and David Ospina are in doubt. 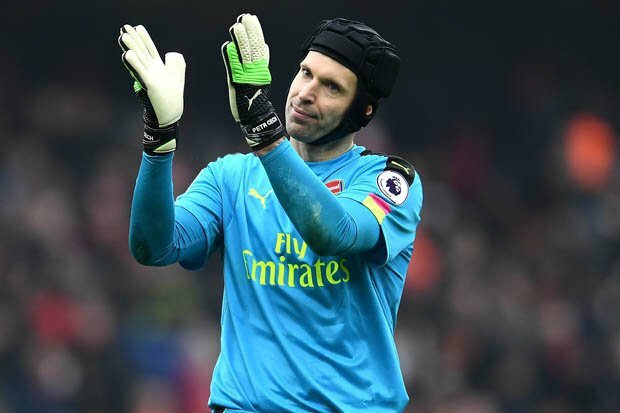 Napoli were reported to have made a move to loan Cech, an offer which he rejected, and he has now come out to confirm the interest. Speaking to the media, he confirmed that Napoli had made an approach, but reiterated that his future remains at Arsenal. The fight for a starting spot won’t be an easy one given his age and the fact that Emery rates Leno higher. It is surprising that the former Chelsea man would reject the chance to play for a Champions league club just to sit on the bench in a team that would be playing in the Europa league next season.